BEFORE THE EUROPEAN missionaries arrived, the Nama settlement here was known as Swartmodder (‘black mud’) which refers to the mud found at a nearby spring. In 1860, some 75 years after the appearance of the first white settler, the Rhenish Missionary Society started a mission here. They named it after a director in the society and someone who provided financial support, one Johann Keetman. 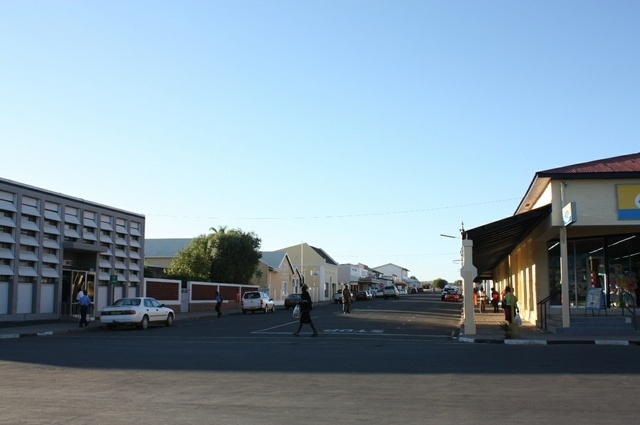 These days Keetmanshoop is the economic centre of the Southern Namibia region, it’s also an important hub for Karakul sheep farming and houses a number of government offices. Auto Specialist Service. Court. School/s. Fire Brigade. Traffic Police. Government Services. Take note: Garage or Petrol cards will no longer be accepted as a legal tender for purchase of fuel, spares or repairs in Namibia. Cash, Debit and Credit cards are legal payment instruments, but many fuel stations choose NOT to accept Debit and/or Credit cards. But generally credit cards are accepted at garages in bigger and touristy towns. Take extra cash with still in case! The private doctors are Dr Jacobs and Oberholzer. There is a Spar in town. There’s a number of department stores in town as well as a couple of banks. Extra tow-in number are +264(0)81 124 7141 or +264(0)81 127 8582 or +264(0)81 128 9583. The Giants Playground, some 20 km outside town is well worth a visit especially if you appreciate interesting rock formations.